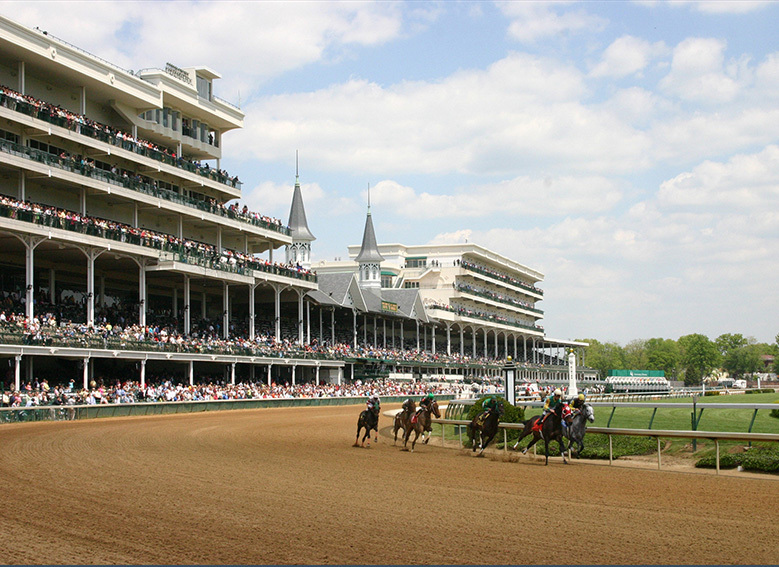 Alpha Video Sports' project at Churchill Downs is discussed in Sound & Communications Magazine. Interviewees for our story include … AV integrator spokesperson Jeff Volk, Vice President of Alpha Video Sports & Entertainment Group, a division of Alpha Video and Audio of Eden Prairie MN (www.alphavideo.com). According to Volk, this was a design/build project for the integrator. 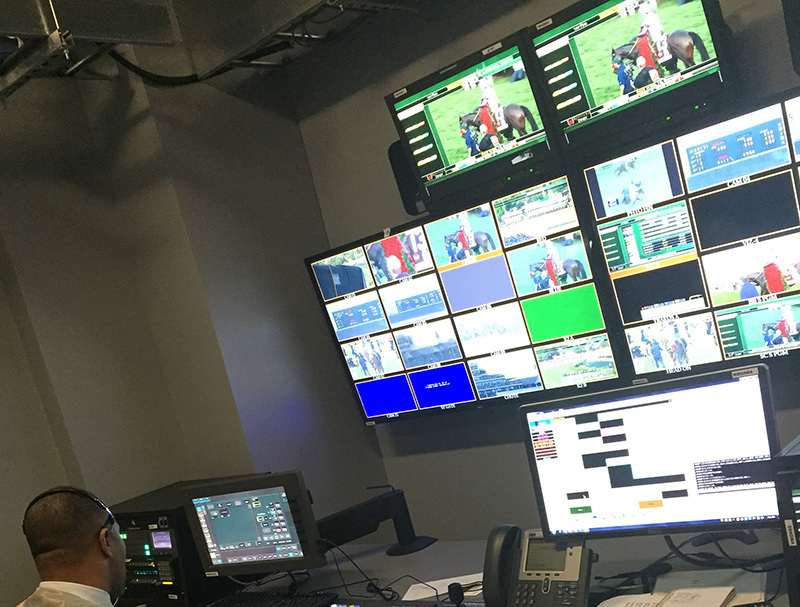 “We had an existing relationship with Van Wagner Big Screen Networks staff,” he explained. “The audio in facilities of this type is pretty straightforward,” explained Volk. 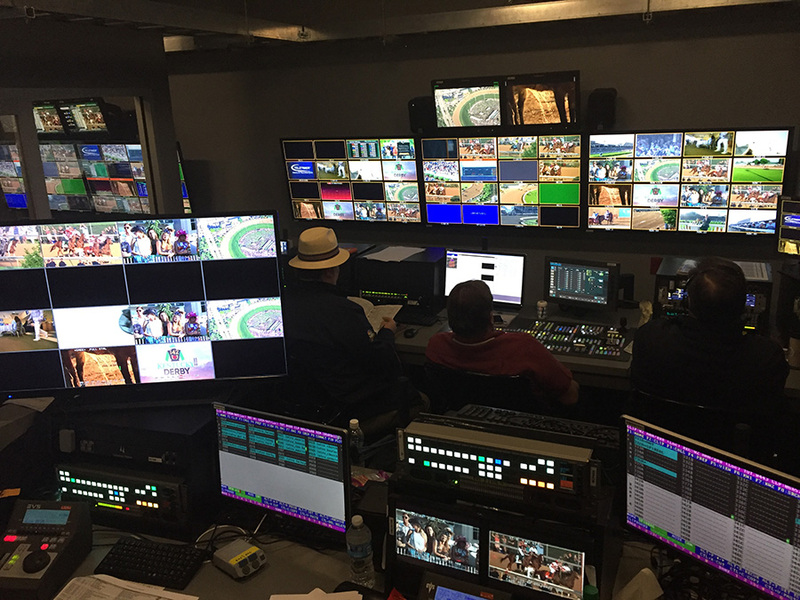 “It sources from the house PA for the big board show, then that mixes in the track announcer, some other audio we take from the main audio feed and the simulcast show that goes around the world. So, it’s a submix in the production facility, coming via tie lines to the main sound system.” Focusrite RedNet bridges provide interfaces from the house audio system to the audio production systems.